The 19th annual Latin GRAMMY Awards came to a close on Thursday, November 15th, and The Orchard is proud to announce that our distributed artists took home five awards as well as a lifetime achievement recognition. Congratulations to each and every one of our nominees and winners, we are honored to work with those on the cutting edge of the world’s fastest growing genre of music. Let’s take a look at a few members of The Orchard family that took home trophies this evening. 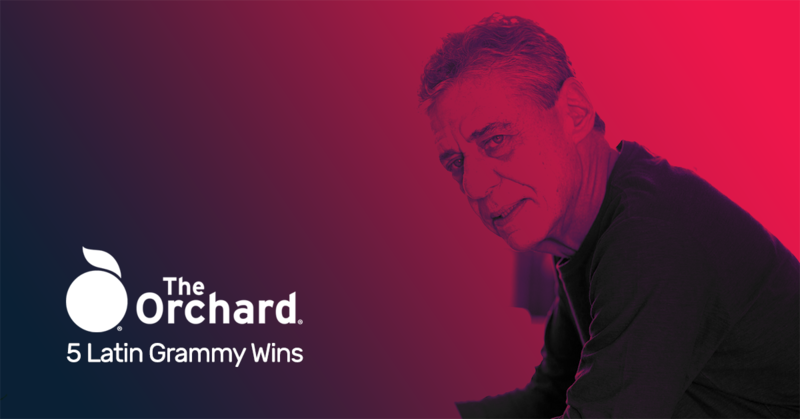 Legendary Brazilian singer/songwriter Chico Buarque had a fantastic night, taking home two trophies as the result of his 2017 record Caravanas. Buarque earned honors for Best MPB (Música Popular Brasileira) Album and Best Portuguese Language Song for his LP’s centerpiece “As Caravanas.” Check out the video for the award-winning track below. Mack Avenue’s Chucho Valdés was honored with a lifetime achievement award for his contributions to the Latin music industry. Throughout Chucho’s career, the influential jazz musician has earned 6 Grammys and 3 Latin Grammy Awards. His new album Jazz Batá 2 is nothing short of brilliant as the artist follows up the original 1972 release that was vastly ahead of its time. See a full list of winners from The Orchard family below, and see all the night’s winners here.